Modern scholars have come to question the existence of at least the first nine Emperors; Kōgen's descendant, Emperor Sujin (98 BC–30 BC? ), is the first for which many agree that he might have actually existed. These monarchs are regarded by historians as "legendary emperors", since there are insufficient material available for further verification and study. The reign of Emperor Kimmei (509?–571 AD), the 29th Emperor, is the first for which the contemporary historiography is able to assign verifiable dates. However, the conventionally accepted names and dates of the early Emperors were not to be confirmed as "traditional" until the reign of Emperor Kammu (737–806), the 50th sovereign of the Yamato dynasty. "Genealogy of the Emperors of Japan". 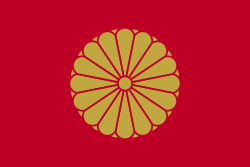 Imperial Household Agency. Archived from the original (PDF) on 2011-03-30. Retrieved 2011-03-30. ↑ Yoshida, Reiji. "Life in the Cloudy Imperial Fishbowl," Japan Times. March 27, 2007; retrieved 2013-8-22. ↑ Rotermund, Hartmut O., ed. (2000). "Généalogie des kami" [Genealogy of the kami]. Religions, croyances et traditions populaires du Japon [Religions, beliefs and popular traditions in Japan] (in French). Paris: Maisonneuve & Larose. p. 117. ISBN 978-87-06-81432-9. ↑ Atsushi, Kadoya (20 October 2005). "Izanagi". Encyclopedia of Shinto. Retrieved 2010-09-29. ↑ Atsushi, Kadoya; Tatsuya, Yumiyama (12 March 2005). "Izanami". Encyclopedia of Shinto. Retrieved 2010-09-29. ↑ Mizue, Mori (10 May 2005). "Takamimusuhi". Encyclopedia of Shinto. Retrieved 2010-09-29. ↑ Mizue, Mori (15 March 2006). "Amaterasu". Encyclopedia of Shinto. Retrieved 2010-09-29. ↑ Kaoru, Nakayama (7 May 2005). "Ōyamatsumi". Encyclopedia of Shinto. Retrieved 2010-09-29. ↑ Kaoru, Nakayama (13 May 2005). "Watatsumi". Encyclopedia of Shinto. Retrieved 2010-09-29. ↑ Atsushi, Kadoya (10 May 2005). "Susanoo". Encyclopedia of Shinto. Retrieved 2010-09-29. ↑ Mizue, Mori (13 May 2005). "Yorozuhatahime". Encyclopedia of Shinto. Retrieved 2010-09-29. ↑ Kazuhiko, Nishioka (21 April 2005). "Amenooshihomimi". Encyclopedia of Shinto. Retrieved 2010-09-29. ↑ Mizue, Mori; Tatsuya, Yumiyama (6 May 2005). "Ninigi". Encyclopedia of Shinto. Retrieved 2010-09-29. ↑ Mizue, Mori (28 April 2005). "Konohanasakuyahime". Encyclopedia of Shinto. Retrieved 2010-09-29. ↑ Mizue, Mori (22 April 2005). "Hohodemi". Encyclopedia of Shinto. Retrieved 2010-09-29. ↑ Mizue, Mori (10 May 2005). "Toyotamabime". Encyclopedia of Shinto. Retrieved 2010-09-29. ↑ Kazuhiko, Nishioka (6 May 2005). "Mizokui". Encyclopedia of Shinto. Retrieved 2010-09-29. ↑ Mizue, Mori (12 May 2005). "Ugayafukiaezu". Encyclopedia of Shinto. Retrieved 2010-09-29. ↑ Mizue, Mori (10 May 2005). "Tamayoribime". Encyclopedia of Shinto. Retrieved 2010-09-29. ↑ Atsushi, Kadoya; Tatsuya, Yumiyama (20 October 2005). "Ōkuninushi". Encyclopedia of Shinto. Retrieved 2010-09-29. ↑ Atsushi, Kadoya (21 April 2005). 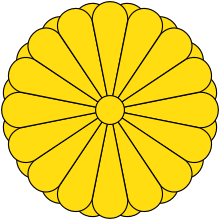 "Ōnamuchi". Encyclopedia of Shinto. Retrieved 2010-09-29. ↑ Kazuhiko, Nishioka (26 April 2005). "Isukeyorihime". Encyclopedia of Shinto. Retrieved 2010-09-29.